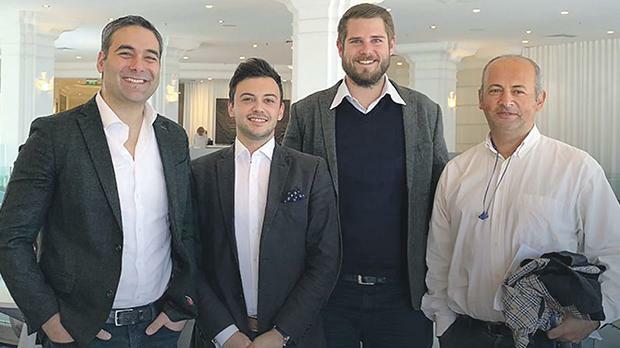 From left: Gege Gatt, director – Muovo Ltd, Alan Cini, director – Broadwing Ltd, Ben Pace Lehner, director – Broadwing Ltd, and Sinan Vural, director – Muovo Ltd.
With a proven track record in place, 2019 has seen Broadwing Limited take another important step in the right direction. Broadwing Recruitment has announced the brand acquisition of the 10+-year-old Malta-based employment agency, Muovo, a leading and reputable agency that specialises in providing recruitment services in the ICT, iGaming and finance sectors for the local and international markets. Since its inception in 2007, Muovo has established its brand and built an extensive client portfolio, as well as a large candidate database. Muovo offers a wide range of services, including outsourcing and leasing, temporary and permanent staffing, executive search, payroll management, training, staff development, and outplacements. With this brand expansion, Broadwing Recruitment gradually adds value to the agency’s core recruitment services to meet the requests of both employers and professionals seeking an impeccable service. It is Broadwing’s priority to exceed their expectations through a fast and efficient service; sourcing the best talent for its clients and advising job seekers on how to reach their potential and progress in their career. Get in touch on info@muovo.eu or by calling (+356) 2017 3007 to book a meeting.